MTS Repo, our leading electronic European repo platform, is fully integrated with X-COM, Monte Titoli’s tri-party collateral management platform. The service is designed to support the financing and investment strategies of market operators. The X-COM tri-party collateral management platform allows financial institutions, asset managers, insurance companies and corporations to effectively manage their financing needs via a single, integrated mechanism. The service provides a simple yet flexible solution, with fully automated access to a broad set of collateralisation functionalities covering on-exchange and OTC repo transactions. 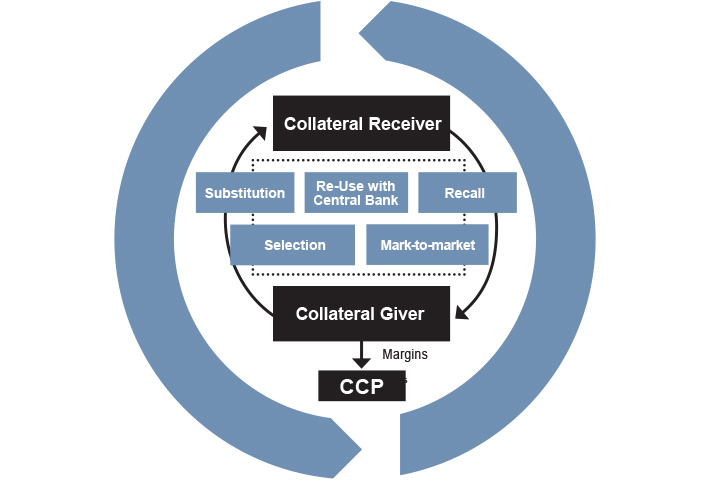 The platform manages all processes involved in the opening and closing of transactions, as well collateral substitution and reuse during the trade life cycle. Monte Titoli plays the role of neutral tri-party agent on the platform. 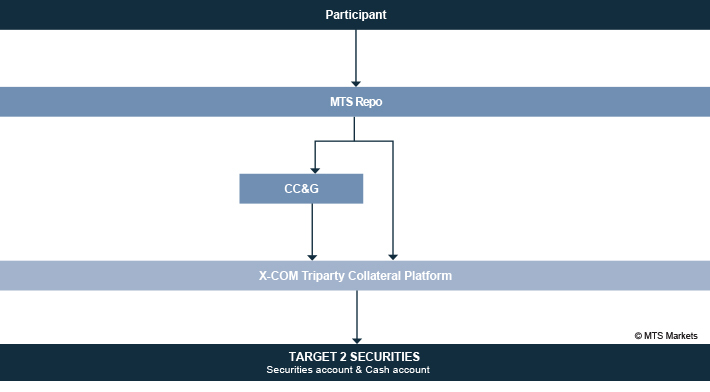 As well as standard tri-party baskets, X-COM offers the possibility to trade via a CC&G defined, centrally cleared basket of ECB eligible, euro denominated securities which includes government and corporate bonds, as well as securitised debt. The guarantee scheme introduces a specific margining mechanism for tri-party repo, while using the same default fund as the bond segments.